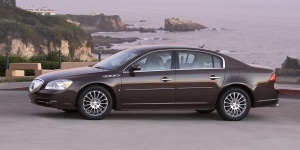 The Buick Lucerne is a highly competent sedan with smooth, clean lines and driving manners to match. 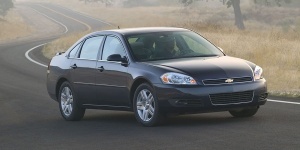 Underway, it's smooth and quiet, but with precise steering good handling. 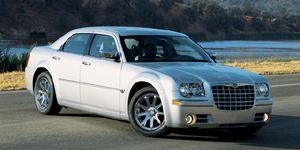 Distinctively styled, the Chrysler 300 comes with a choice of six- and eight-cylinder engines and optional all-wheel-drive. 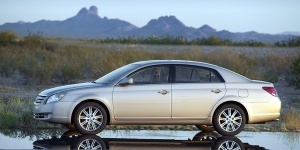 Its roomy and stylish interior hosts five passengers in comfort. 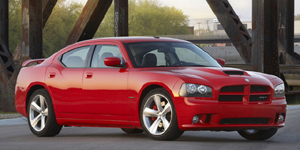 Powered by a choice of V6 and Hemi V8 engines, the Dodge Charger features bold styling, sporty handling, and a spacious and comfortable interior. 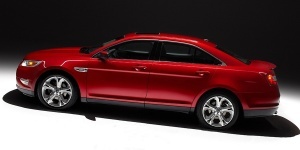 Featuring V6-power with optional all-wheel-drive, the Taurus provides comfortable and save handling, and a spacious cabin for five. 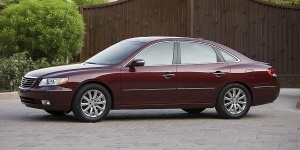 Powered by V6 engines driving the front wheels, the Hyundai Azera competes well in its class in terms of styling, creature comforts, and safety features, at a lower price.